Textbook baubles for your wall? Why not? Sculpted in clay, this ornament celebrates a student's "Inner Eye" (if any) in an elective taught in the third year of school. The laser cut frame is made from 3 mm thick plywood and is both sturdy and delicate. 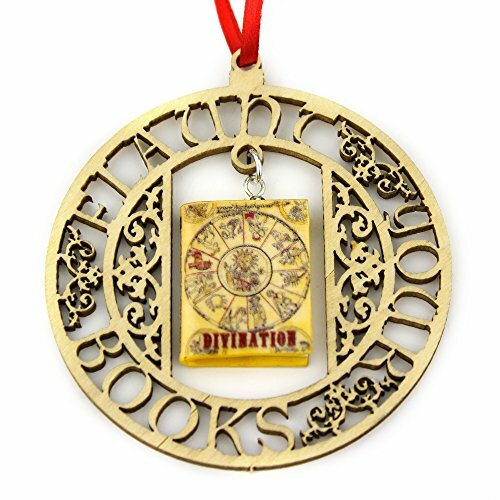 A Book Beads exclusive design, Divination is the practice of seeking knowledge of the future or unknown by supernatural means. In the wizarding world, the person who goes into a trance upon seeing a vision, is described as an oracle or a Seer. The vividness of the colors of this framed knickknack are sure to pop from the Christmas tree and add vibrancy around its branches.